I would say pretty ambitious and talented carver, Beautiful job. Very impressive piece! The detail is first class. Awesome carving skill and work! OOOOOH! I Like Your Clock! I have to agree with Bushmaster totally! That is an heirloom that will be cherished for future generations. Beautiful work! Wow! May I ask how long that took you to make? Excellent work HalfAcre! I’ve tried carving maple before, it’s hard stuff, the power tools sound like a good idea. 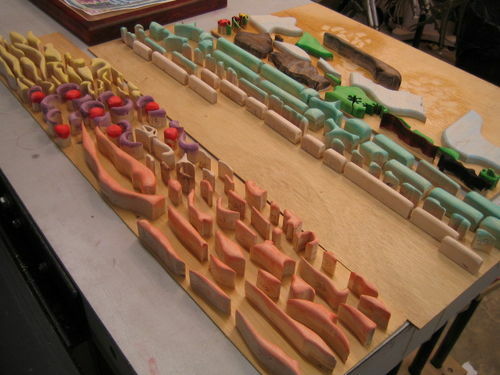 Like CowBoyUp, I’m curious about how many hours the carving process required. Thanks for posting. Not sure what I have here with the pictures so I’ll post what I have here and if any more questions arise, I hope I can help I don’t own any carving knives my hands are much older than my mind so the reason I started experminting using the Dremel. 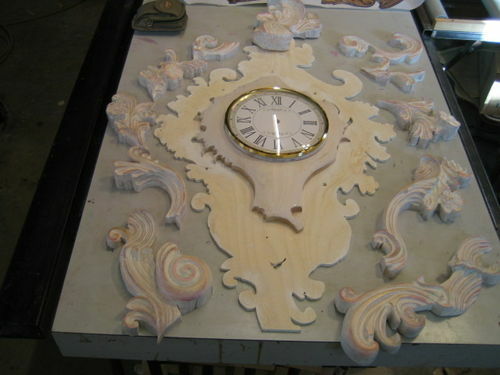 I’ll take a picture and show how many pieces the carving was in this clock and return shortly. Some of these things I do takes lots of time to put them back in their place , its like doing a jigsaw puzzle after I put the finish on. Beautiful work. 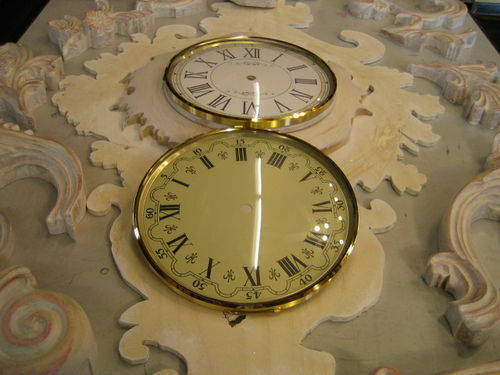 Can’t wait to start making clocks of my own.